Spin bikes semi commercial can be the most effective training for cardiovascular (heart and lungs) conditioning and burning body fat. 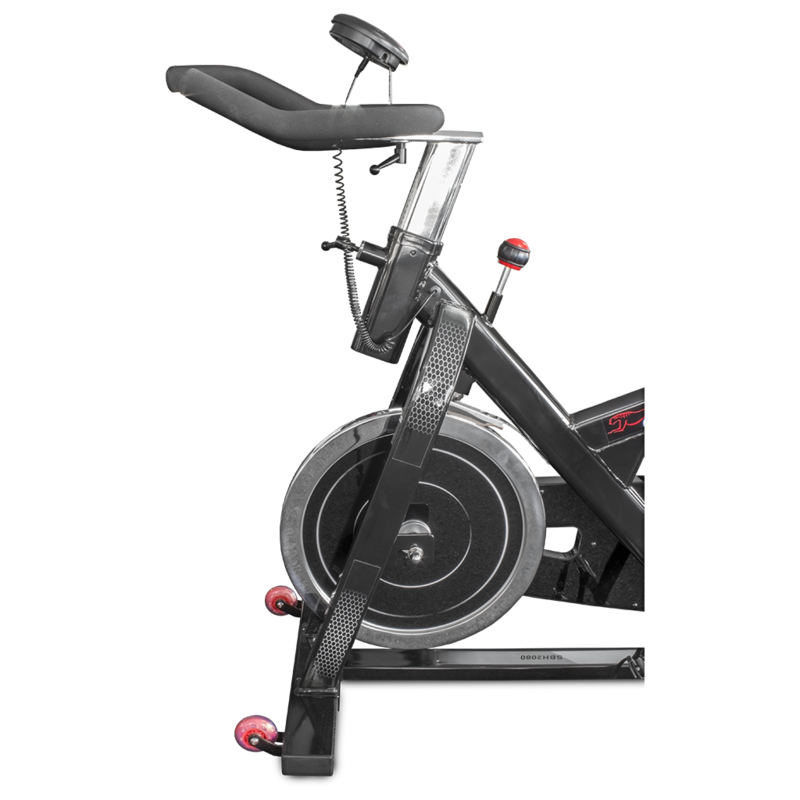 The Cheetah® SBH2080 spin bikes semi commercial offers you the option of sitting in the seat and just taking a leisurely ride or increasing the resistance, coming out of the seat and doing a challenging hill climb program. 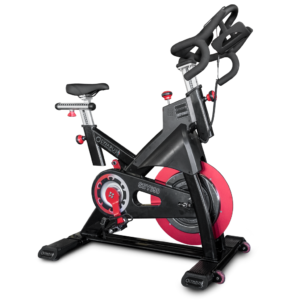 These are a semi-commercial grade spin bikes with heavy-duty three-piece crank and 23kg solid steel flywheel. The frame is powder coated with two layers to prevent rust caused by sweating. 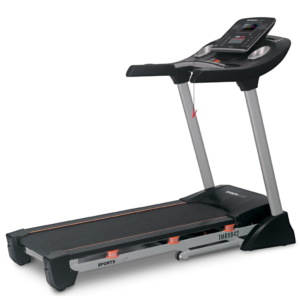 The SBH2080 is perfect for Fitness Studios, group classes or the serious home trainers. And you have the comfort of knowing that a Life Time Structural Warranty covers your Cheetah product. 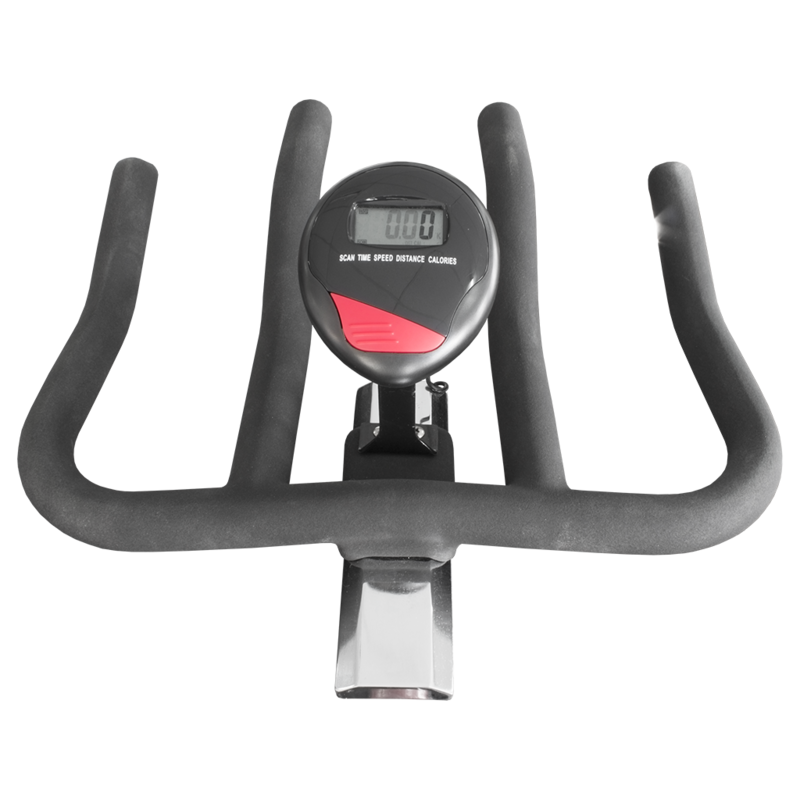 We also include with your SBH2080 an ‘Interval Training Program’, which explains the best way to maximize your results on spin bikes. Spin Bikes semi commercial Product Features. 23kg Solid steel flywheel combining the correct weight and balance. Quiet easy maintained Belt drive. Easy vertical and horizontal seat and handle bar adjustment. Off-Set ‘V 121’ frame design. Commercial grade frame rated user weight of 150kgs. Computer with Speed, Distance, Time and Calorie read out. Heavy-duty brake/resistance system with leather cover resistance pad. High quality Commercial three-piece crank. 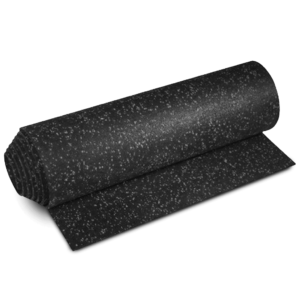 CE, EMC, C-Tick, RoHS, SAA Approved. Covered by the Cheetah Life Time Structural Warranty and 12 months parts and labor home use warranty. A little history on Spin bike indoor cycle training. The word “Spin” and “Spinning” is a company trademark used to describe indoor cycling training, much the same as we refer to Kleenex when we mean facial tissue of any kind. 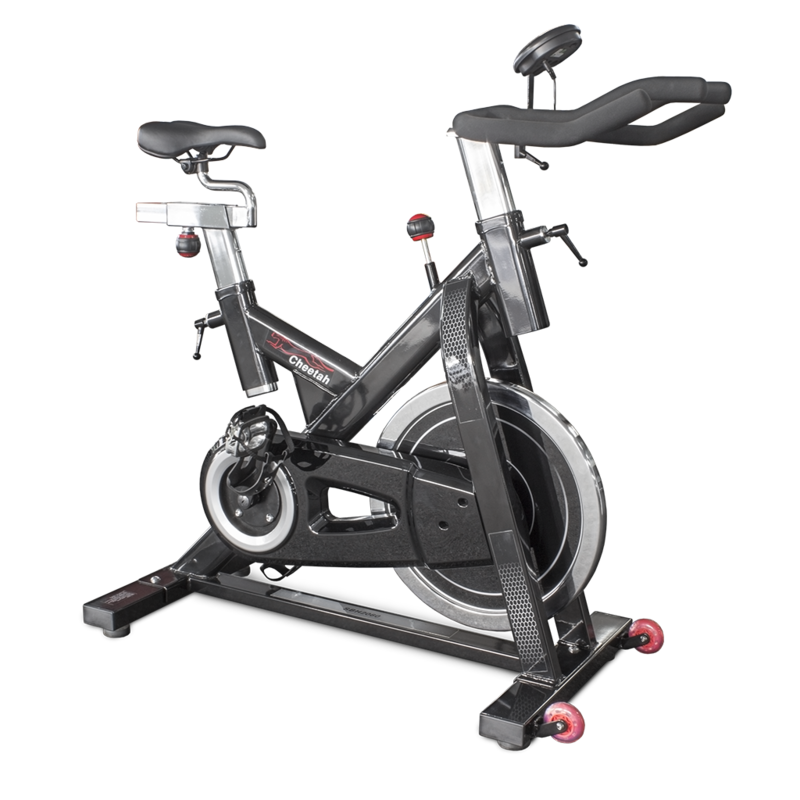 The original Spin bike was designed by a racing cyclist named “Johnny G,” who used this type of training in his garage during the winter months. 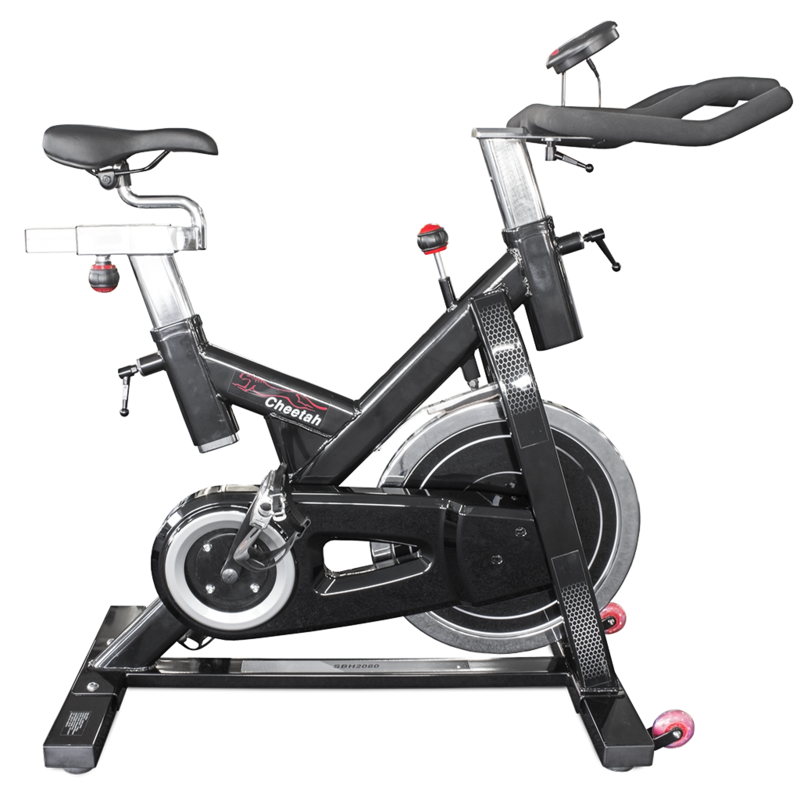 He and Schwinn went on to design an instructor-lead group exercise class format to market and sell worldwide as Spin bike classes. 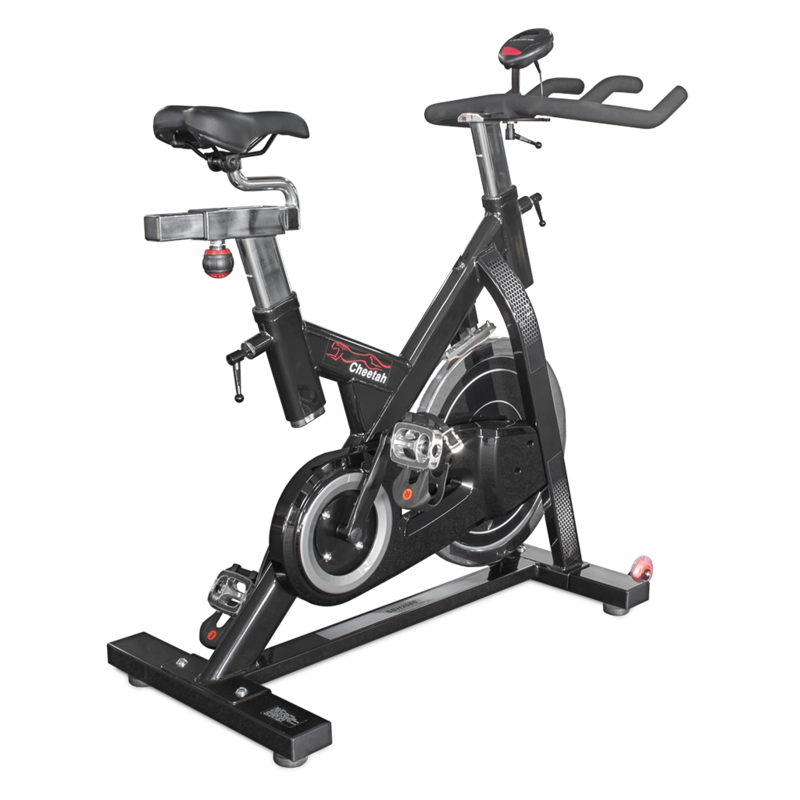 The main reason for the Superiority of the Spin Bike design over the traditional upright bike is the inclusion of a heavier flywheel. Most upright bikes have a flywheel of 4-8kgs where as the recommended weight of a spin bike flywheel is 20kgs. The extra weight of the spin bike fly wheel allows the user to obtain a higher training intensity level by performing Up hill climbs, out of seat sprints, low speed hi-resistance training and over-all having a similar feel to a road bike in a far safer environment. Important: When purchasing a spin bike the three most important features to look for are, a) ‘V 121’ frame, to allow set up for correct riding position, b) Belt drive for quiet maintenance free (no greasy chain) and c) a flywheel weight of 20kgs. Sufficient seat adjustment height to suit most user. Computer to track time, speed, distance and calories. Vertical and Horizontal seat and handle bar adjustment. High commercial quality three-piece crank. Manual screw down brake and resistance system. Exercising on Spin Bikes is one of the most effective ways to lose body fat, condition the heart and lungs and tone the body. Please! don’t miss out on these spin bikes contact us on 1300 47 48 49 or info@renouffitness.com.au for more information on this great item or you can purchase it now online. It went together reasonable easily and goes great. No spin bike is as good as the real thing, a road bike, but this comes the closest. 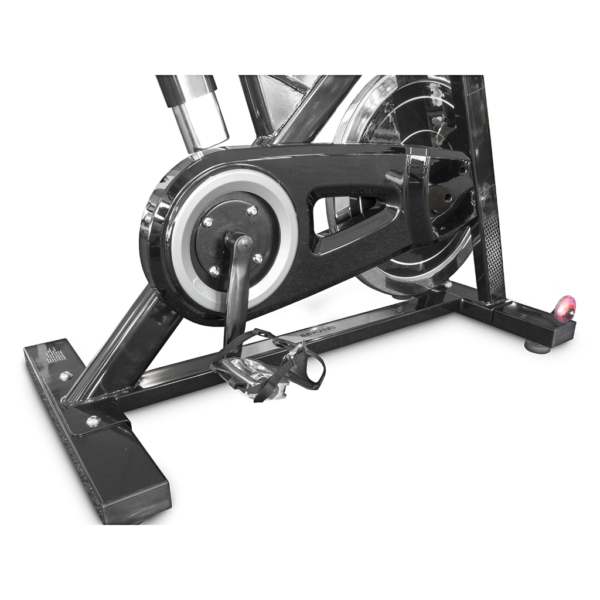 Great spin for the money, good weight fly wheel and over-all weight, very solid. very good semi-commercial spin bike, lives up to the standard of most full commercial but at half the price. reliable, very very smooth ride and also good service at renouf, thank you. It does everything they said it would, i’m f—-d. I definitely recommend, good quality and fair price, easy to assemble and Renouf staff very helpful.